Warm, inviting and timeless, rustic design elements transport you back in time and give your home a simpler, cozier ambiance. 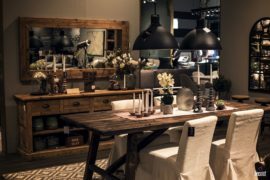 In a modern, urban setting where glass, polished stone and artificial finishes dominate the landscape, a dash of rustic goodness gives the space personality and rugged charm. 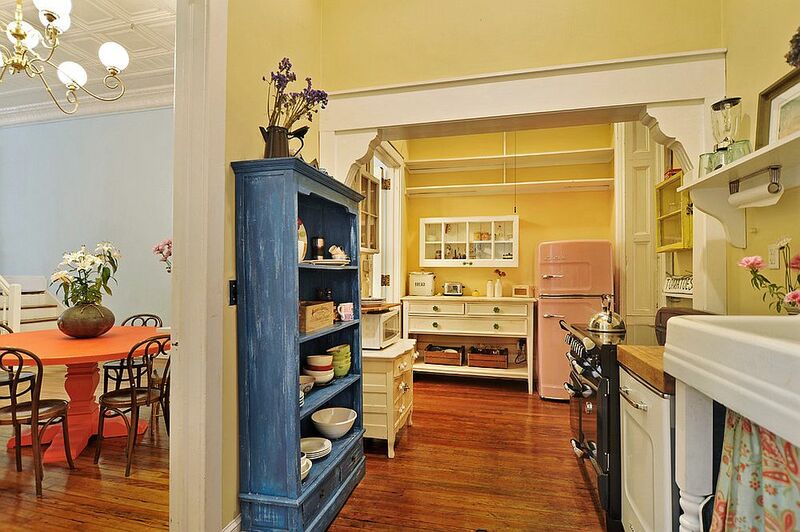 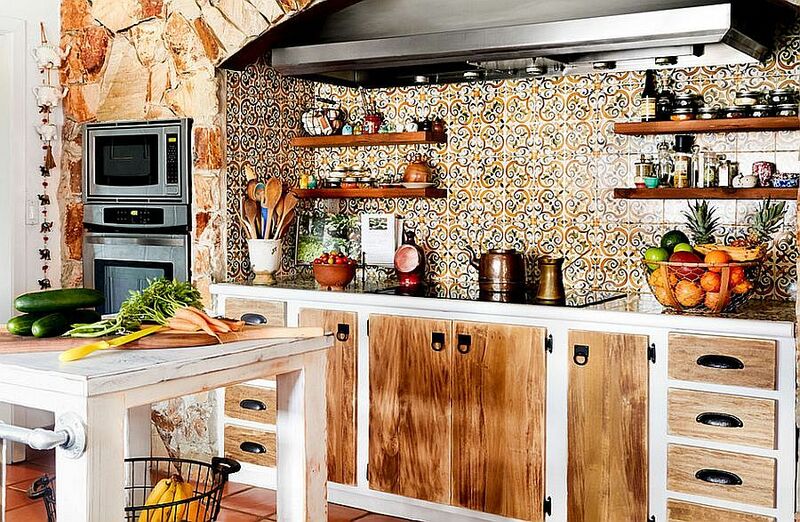 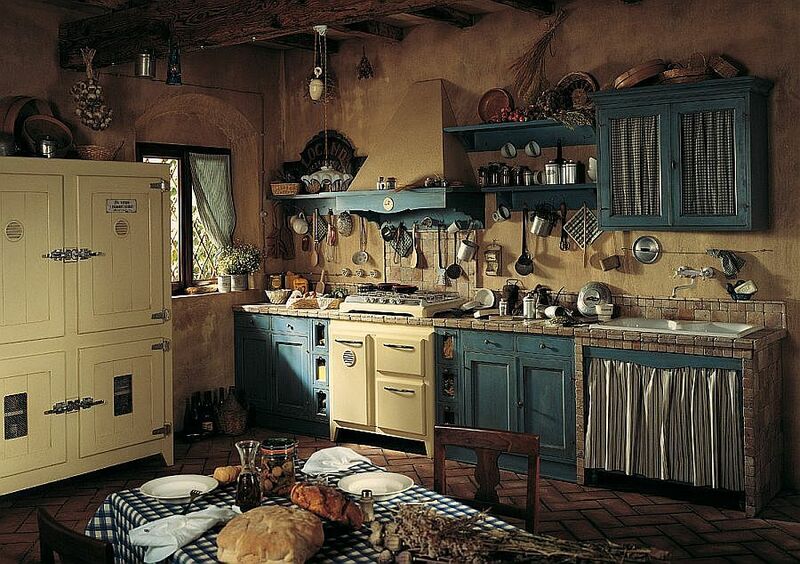 And one of the best places to try out rustic elements is the kitchen! 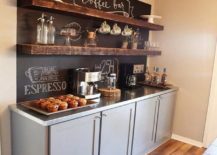 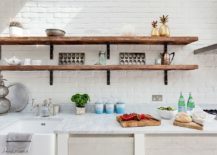 Even the most modern kitchen can be effortlessly combined with carefully placed rustic features and you need not always go down the route of a full-blown kitchen revamp to get this done. 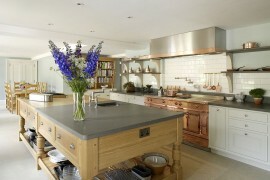 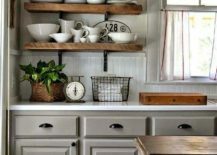 We start off with arguably the easiest kitchens to work with as you plan to add those gorgeous, rustic wooden shelves. 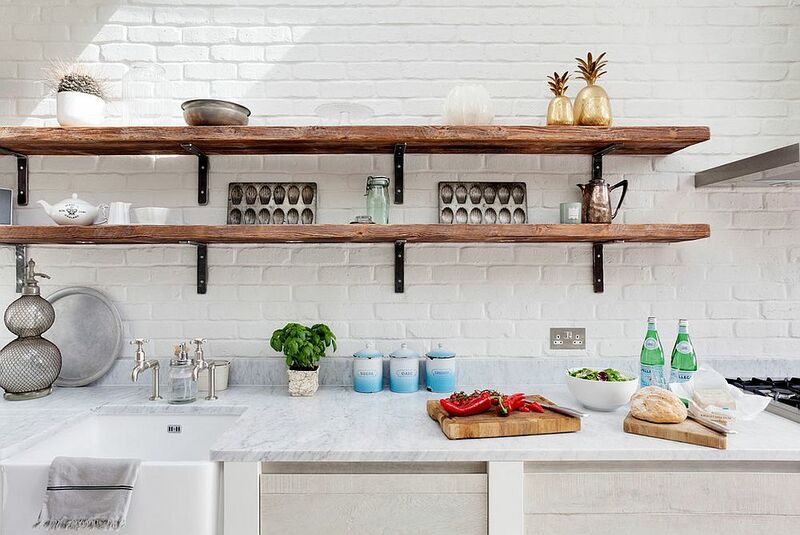 White kitchens give you plenty of decorating freedom (even though they are a touch high-maintenance) and adding a couple of rustic shelves to this space feels both seamless and aesthetic. 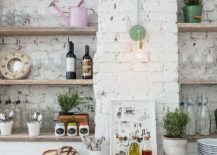 Combing a white backdrop with wooden accents and raw, wooden décor is a hot trend in 2017 and so this is a win-win situation no matter which way you look at it. 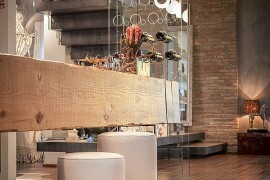 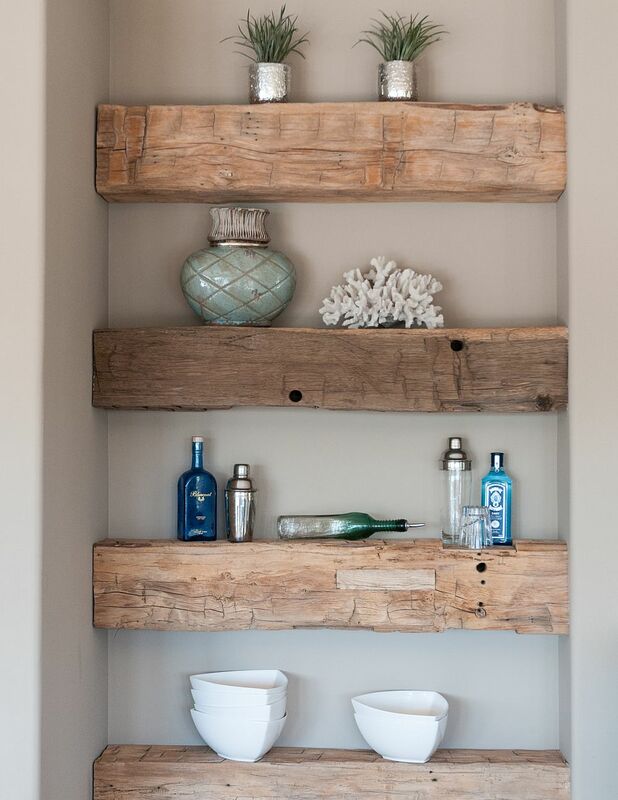 Most rustic wooden shelves come with a raw, edgy finish. 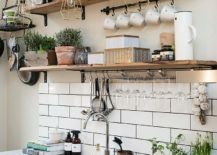 This is what gives them their unique appeal and ensures that they stand out from the pack. 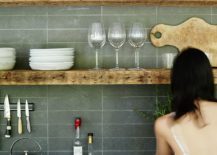 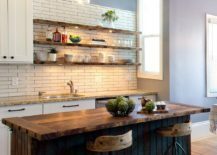 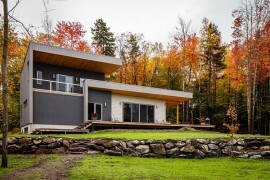 But those leaning towards a more modern aesthetic can polish off just a few off those rugged edges to ensure that they have floating kitchen shelves that are part modern and part rustic. 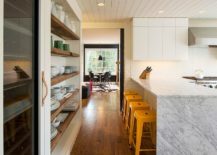 It is a useful trade-off and will serve you well as over time as you look to transition between kitchen styles and constantly varying trends. 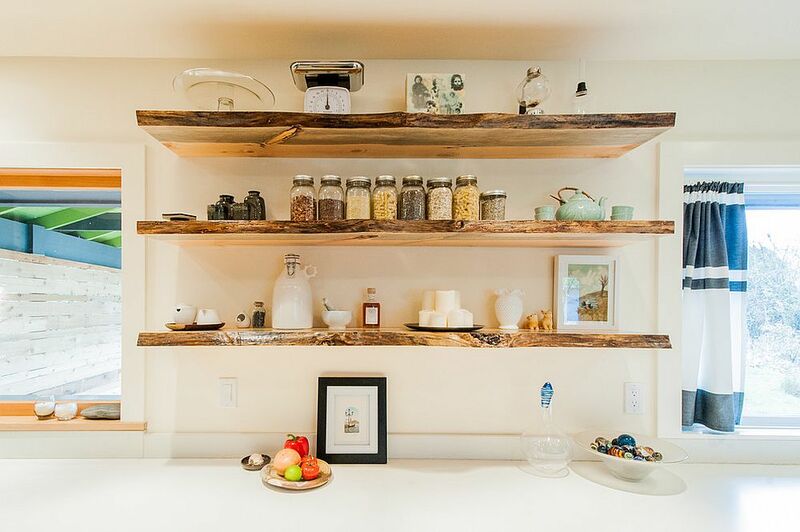 Live-edge wooden shelves coupled with a neutral backdrop offer a picture-perfect setting for your gorgeous kitchen display. 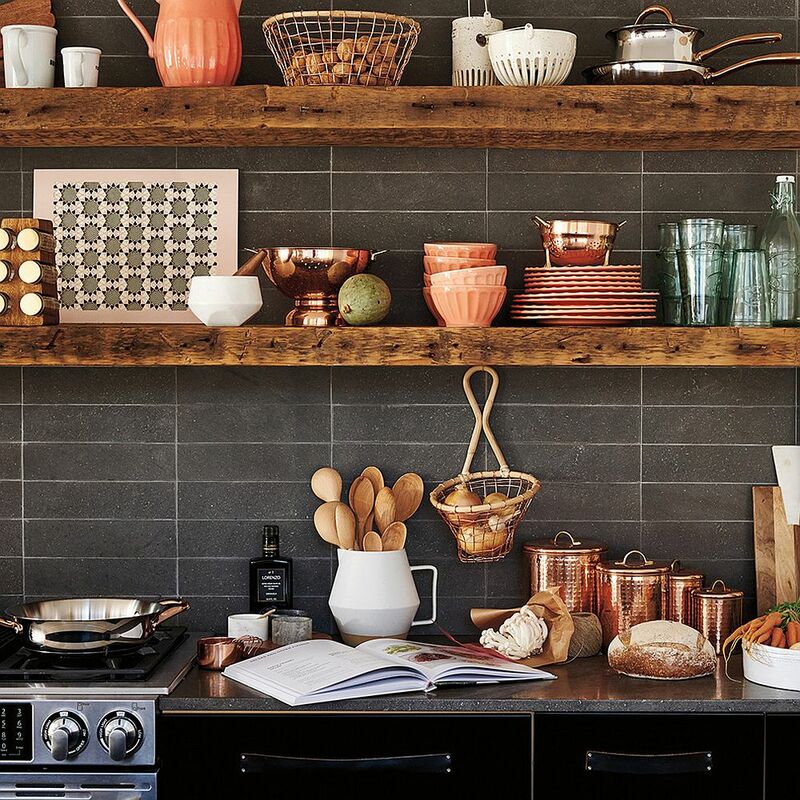 Everything from lovely china to unused copper pots and a colorful vase or two can be placed here to create a stylish and casual focal point in the kitchen. 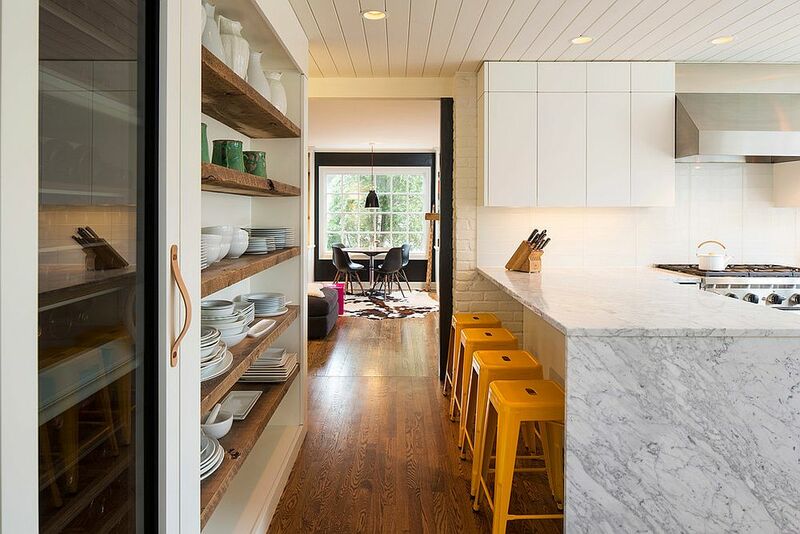 In case you prefer rustic shelving that veers more towards modernity, then shelves that match the finish of your kitchen cabinets or the central island can give the space a more curated, contemporary appeal. 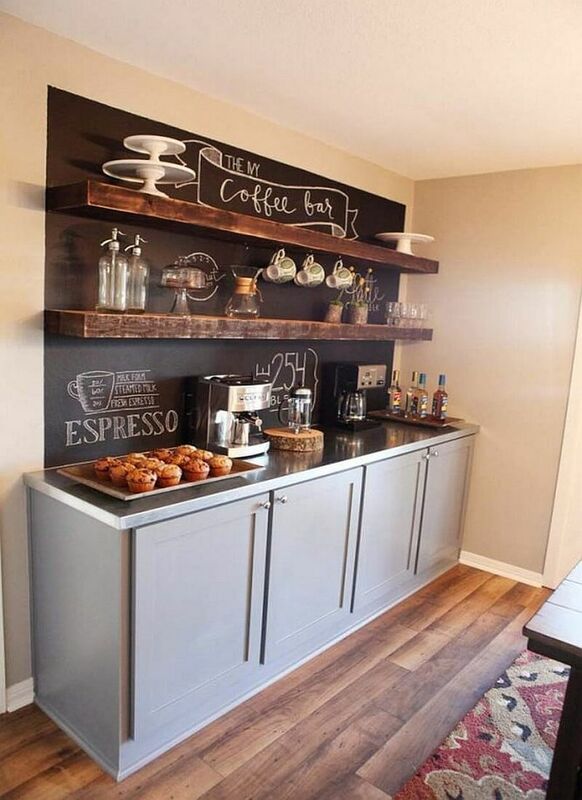 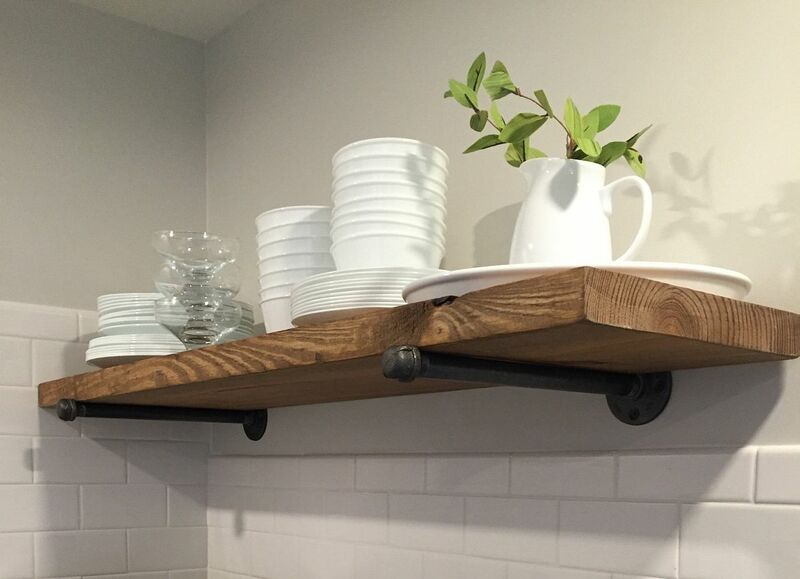 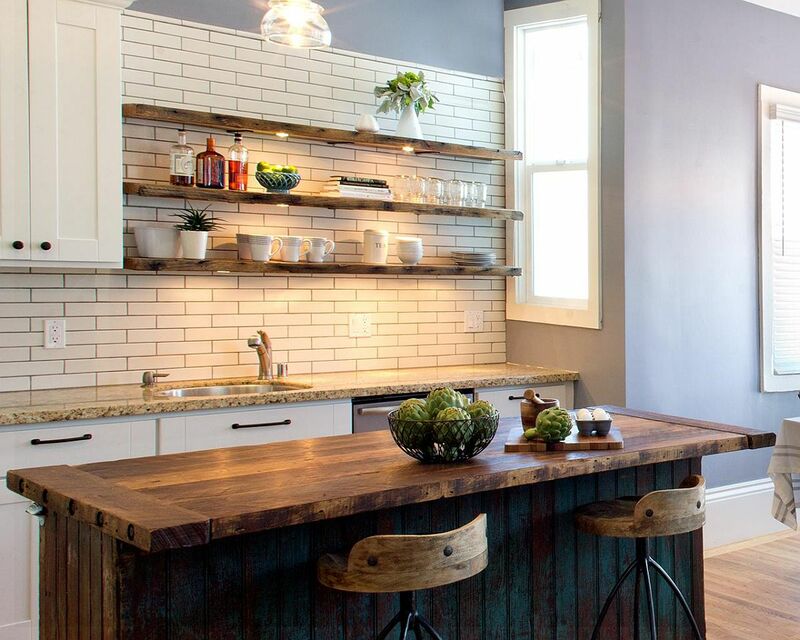 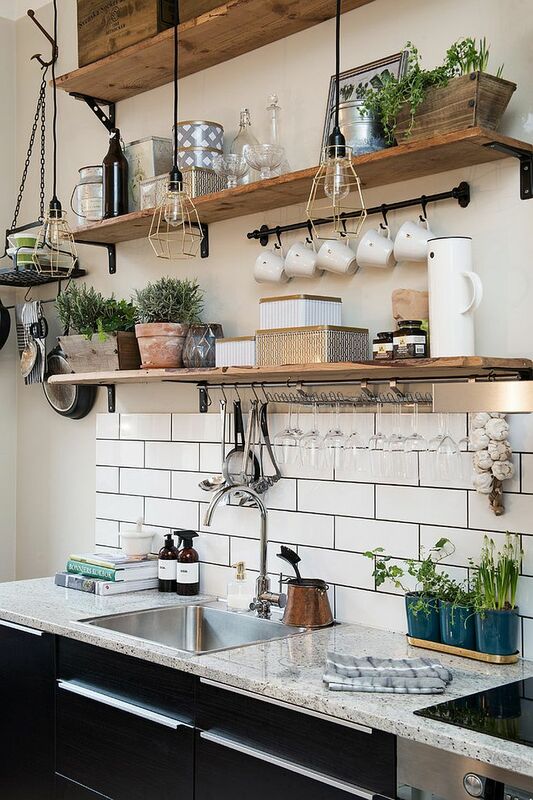 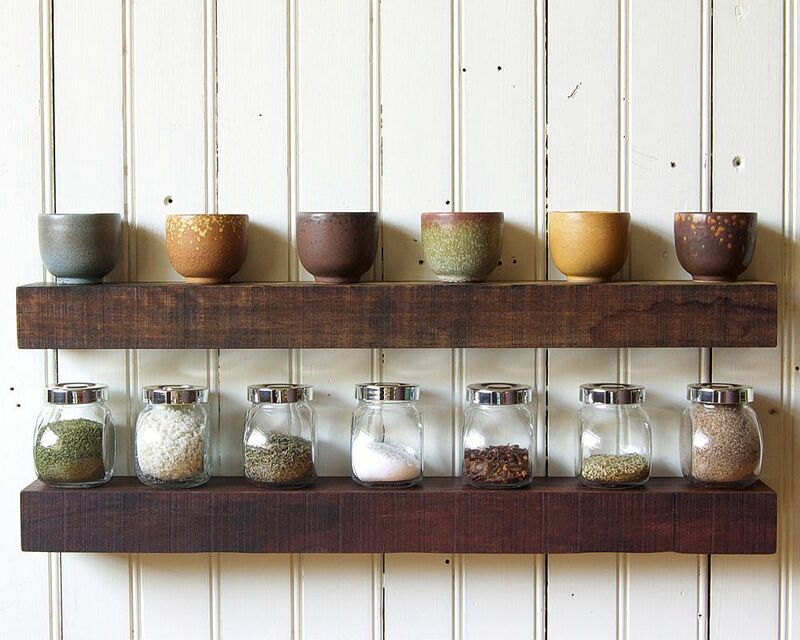 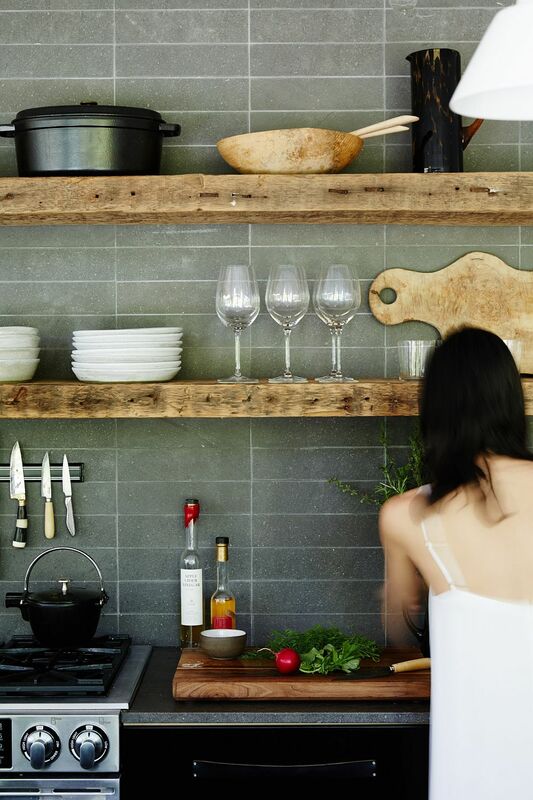 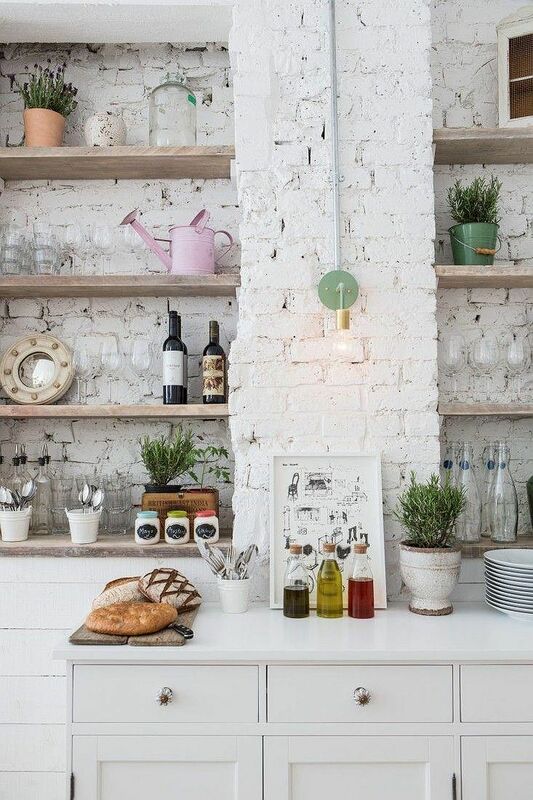 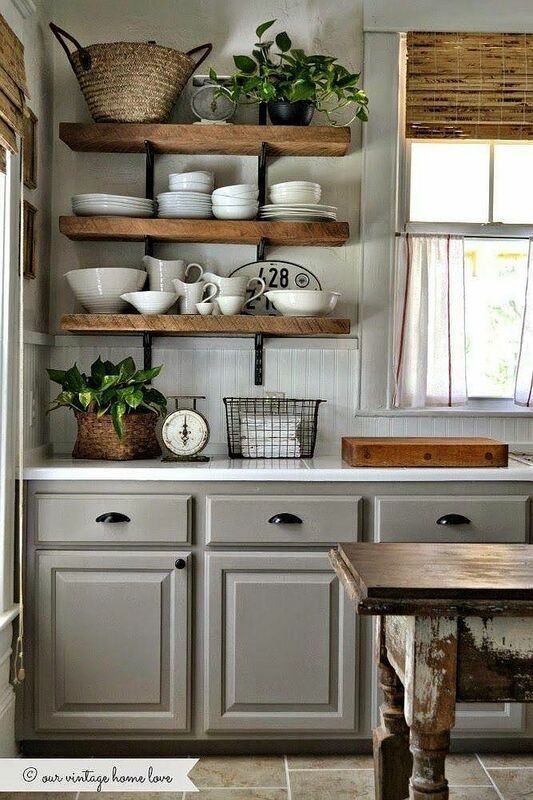 Rustic shelves in a small kitchen can make a big visual splash. 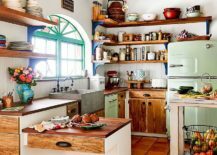 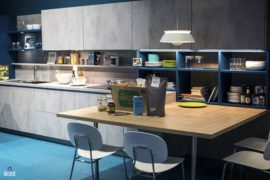 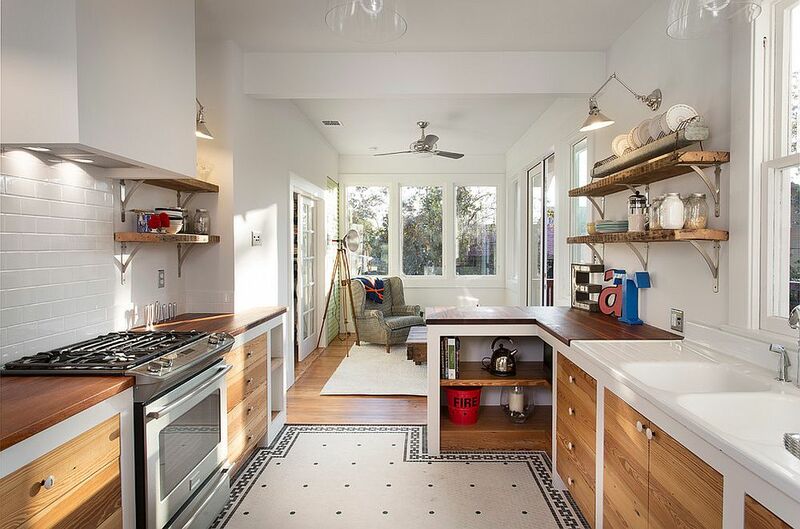 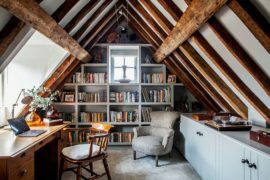 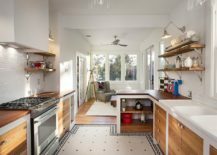 Most often, they neatly tuck into a small corner of the kitchen, the space above kitchen counter or a creative little niche that is otherwise forgotten. 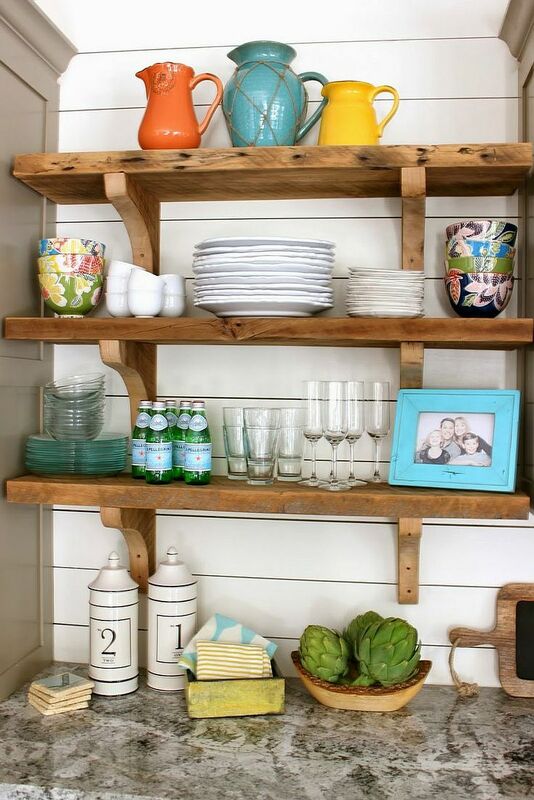 We suggest putting your DIY skills to use here to create your own rustic shelves from a few blocks of wood instead of shopping for them or even hiring help. 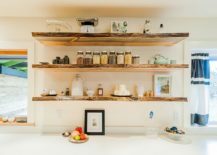 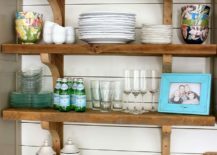 Since you do not really have extensive shelving to take care of and installing these wooden shelves is easy, a DIY project can cut back on costs significantly. 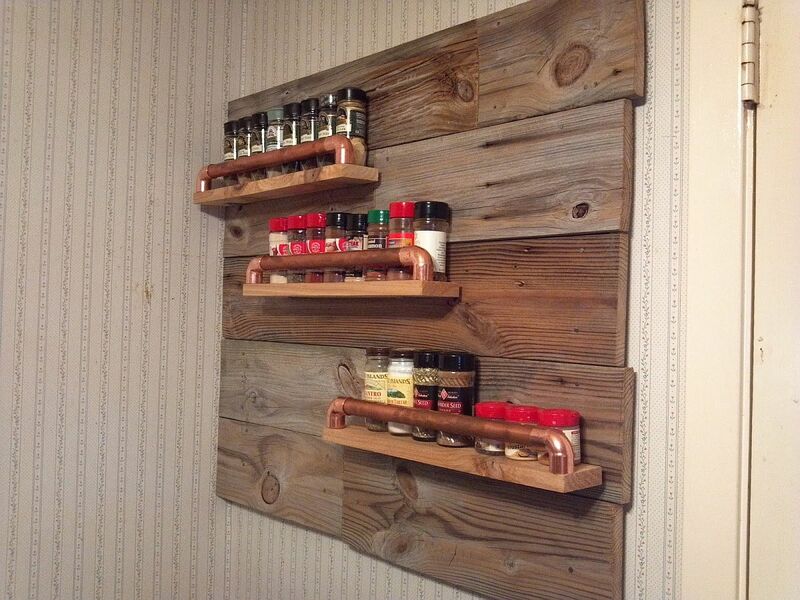 It also gives you a great opportunity to improve your DIY skill set.